The automotive manufacturing industry uses microscopes to perform quality control for a variety of small parts including safety checks and looking at surface finish. There are several types of microscopes that are used in the automotive manufacturing industry for different purposes. Small parts with a size of 0.5mm or greater that are manufactured in the automotive industry require examination using a stereo inspection microscope. Typically a 4-quadrant LED ring light is used to avoid glare from metallic parts. The FZ6-TS stereo microscope is a high resolution microscope that provides an inspection and quality control solution when viewing small metal parts. This specific industrial inspection microscope provides high resolution and can provide up to 180x magnification depending on the auxiliary lenses used. Illumination options include dual pipe lights or LED ring lights. Digital options are available for capturing images and viewing a live image. 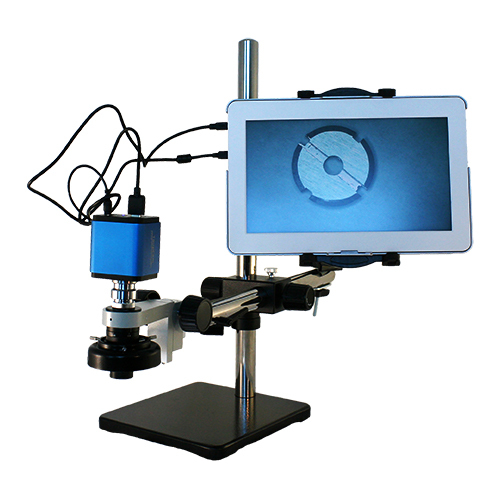 Microscope World can help configured the best magnification system to meet your specific needs. When viewing surface finish of paint or extremely small metal particles, a metallurgical microscope is required. The M40 metallurgical reflected light microscope provides magnification up to 1000x. 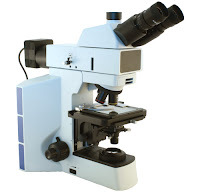 When using this inspection microscope at 400x particles can be viewed down to 1μm. At 1000x magnification the field of view is 180μm. Microscopy cameras can be attached to this inspection microscope enabling live images on a monitor or the ability to capture and save images, make measurements with software, and save annotations to images to point out flaws or measurements. Video inspection microscopes are a great way to reduce eye fatigue from hours of looking through a microscope inspecting small parts. These automotive quality inspection microscopes are available with just a lens and camera (as shown at left) or with eyepieces and a camera. 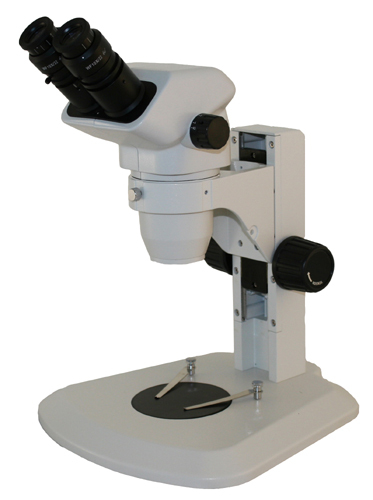 The UNI-HD-LCD microscope system provides magnification of 80x or higher depending on the size of monitor used. The HD camera and monitor provide high quality images and a high frame rate so live action under the microscope is captured in real time. For automotive industry microscopy solutions contact Microscope World.